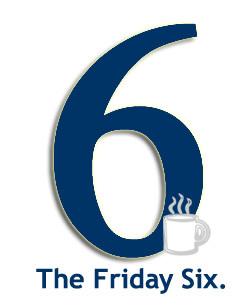 A Friday Six on a Wednesday! Because why the hell not. Renza talks about the messaging of diabetes, and what we can do to get it right. Here is some damn sneaky research. Seb is still running. And I’m still supporting the hell out of him, because he’s incredibly dedicated. You can still support him, too. I am having the hardest time not filling our home with everything Murray, by way of Derek Eads. “It’s a day to remember those who were lost. For me it’s a reminder that I’m lucky to be alive.” Amazing post from Carly about a medical emergency on 9/11. Are you in the Los Angeles area? Diabetes Sisters is coming to LA on October 24th, and I’ll be part of the event, alongside some of my favorite DOC people (Hi Cherise, Manny, and George!). Hope to see you there! That same weekend, up in Anaheim, CA, the Children With Diabetes team will be holding a Focus on Technology conference. There will be a whole session on setting up your CGM in the Cloud rig – don’t miss it! Coming Together as a Community – a great piece from diaTribe’s editor-in-chief Kelly Close. There is no such thing as a “free food.” Sort of. New column at Animas. “today, i felt parts of the monster within myself. today, i felt parts of the hero within myself.” Excellent post from Heather Gabel about the activated patient. THE SEA OF TREES found its way into People Magazine last week. Of Cocktails and Community Friends for Life: Madcap Recap. Flick of the Wrist. Perspectives on Diabetes: Why Children with Diabetes Matters. Light Up Meter: Secondary Uses.